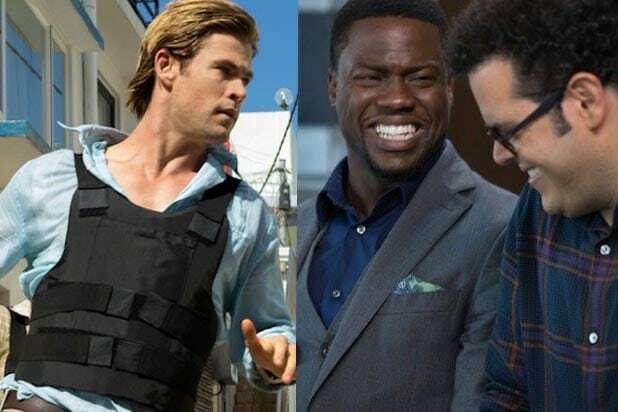 If moviegoers were hoping thriller “Blackhat” and comedy “The Wedding Ringer” could be alternatives from all of the serious awards contenders that have been flooding theaters for the last two months, critics have some bad news. The two movies have been panned in the majority of reviews as stinkers. The wide releases — one a Michael Mann hacker thriller from Universal and the other a Kevin Hart comedy from Sony — are currently tied on Rotten Tomatoes for an equally “rotten” 31 percent approval ratings from critics. “Blackhat” follows Chris Hemsworth (“Thor”) as an imprisoned hacker set free to square off against an even more dangerous cyber terrorist, while “The Wedding Ringer” stars Hart as a best man hired for a nerdy groomsman, played by Josh Gad, who is somehow cool enough to marry beautiful “Big Bang Theory” star Kaley Cuoco Sweeting, but not cool enough to have any friends. Below are some of the worst reviews critics had to offer for each.